Pediatricians are alarmed that little kids who spend hours and hours a day on phones, tablets, and around TVs can develop autistic-like symptoms. The good news: the symptoms often completely disappear when the children switch to playing with other kids and palpable toys, interacting more with caregivers, and avoiding all screens. 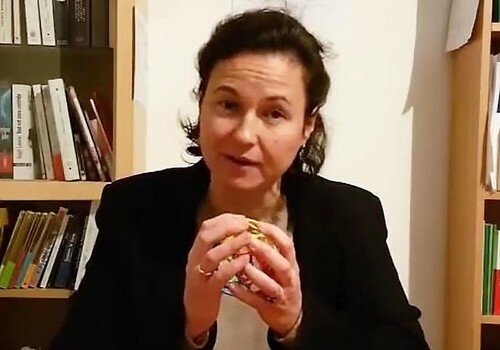 Two doctors in France are leading an awareness campaign about “Virtual Autism,” a condition they explain in this video. Over the past five years, the doctors noticed more and more toddlers with unusual changes in behavior. Some had stopped responding to their names, they would avoid eye contact, and had become indifferent to the world around them—characteristics of Autistic Spectrum Disorder (ASD). Others were developmentally behind for their age. Drawing on left by a 4-year-old who spends little time on screen media. 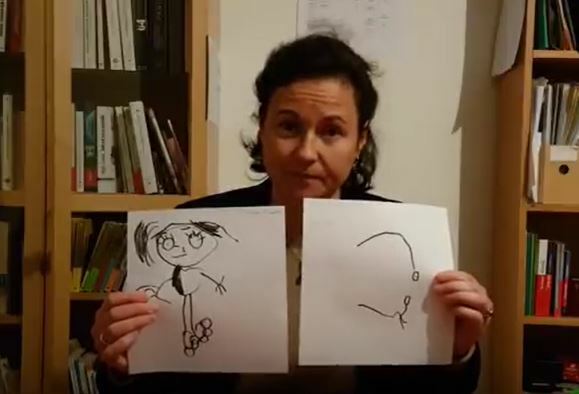 Drawing on right by a slightly older 4-year-old who was highly screen-exposed..
After asking parents in detail about the kids’ media use and household exposure, the doctors discovered almost all the children had spent large amounts of time on and around screens—in some cases, ten hours a day. But when the doctors had families eliminate or greatly reduce the children’s screen exposure, the ASD symptoms would almost always disappear. Because the same phenomenon has been observed in Romania, screen withdrawal is now a therapeutic protocol for early ASD. 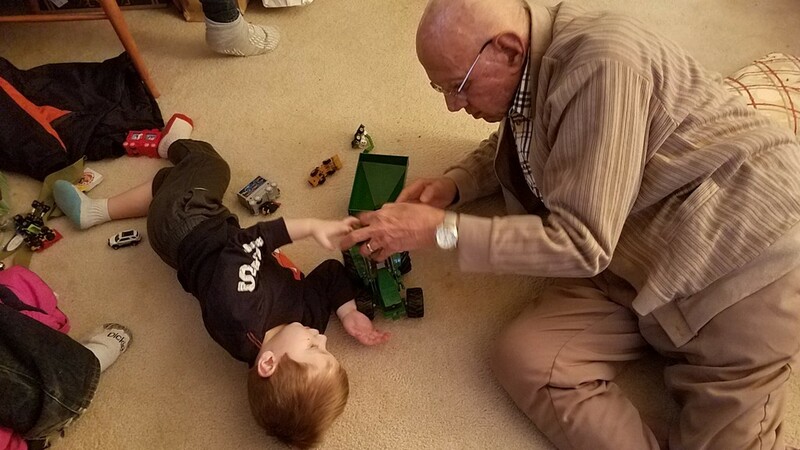 “Attention in the vulnerable infant is drawn away from healthy social interactions toward TV, computer screens, and electronic toys,” according to Heffler. At the first ever Children’s Screen Time Action Network conference, I happened to meet Dr. Heffler’s research associate, Lori Frome, M.Ed. Frome is an Early Interventionist who discovered, also by chance, that the symptoms in one of her ASD patients disappeared after her screen exposure was curtailed. Frome then tried the same treatment on her own son, who also had an ASD diagnosis. 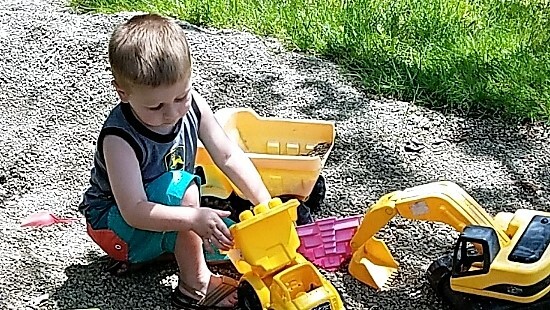 In only a few screen-free months, as Frome describes in this video, her son had “a complete developmental trajectory change in the core deficits of ASD.” In other words, her son became developmentally normal for his age. Dr. Andrew Doan, an ophthalmologist and neuroscientist, produced this animated video to show how watching screen media can rewire a child’s brain. So, what’s a parent to do? For one thing, to actively support a child’s basic developmental needs. For kids to learn to speak, reason, and develop crucial social skills, they need face-to-face interaction with loving people and to use all their senses as often as they can. That’s why the American Academy of Pediatrics recommends kids under age two spend full time exploring their world without interruption by screen, except for the occasional Facetime with Grandma. Preschoolers shouldn’t have more than one hour of screen time a day “to allow children ample time to engage in other activities important to their health and development,” says the AAP. When you look through Today’s lens, early childhood has become a rarified, once-in-a-lifetime pre-digital opportunity. As I write in The Durable Human Manifesto: Practical Wisdom for Living and Parenting in the Digital Age, each child begins life as a “wild human”—as free and unplugged as any other animal. Conversely, if a child has a full, well-balanced life with minimal time on screens, the symptoms may never emerge. Note: Dr. Heffler is seeking research subjects 18 to 42 months who have been diagnosed with ASD, have no other significant genetic or health problems, and have spent an average of two or more hours on screens per day. 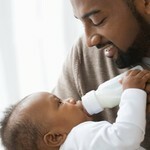 The study requires two visits to Drexel University in Philadelphia, PA; weekly home visits; and that a screen-free home environment be provided. For more information, e-mail Dr. Heffler at ASD-ESMStudy@DrexelMed.edu. Two books that help parents understand how screen media affects children’s development are Reset Your Child’s Brain: A Four-Week Plan to End Meltdowns, Raise Grades, and Boost Social Skills by Reversing the Effects of Electronic Screen Time by Victoria Dunckley, M.D. and Virtual Child: The Terrifying Truth about What Technology is Doing to Children by child occupational therapist, Cris Rowan. In this TEDx talk, I point out the connections (and disconnections) between Virtual Autism, Attachment, and screen time management. I also discuss it with Audrey Monke on her Sunshine Parenting podcast. 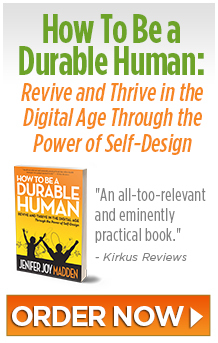 Finally, for inspiration, download a free PDF copy of the quick-read Durable Human Manifesto. 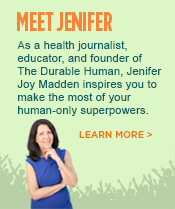 About the author: DurableHuman.com founder Jenifer Joy Madden is a health journalist, digital media adjunct professor, and author of How To Be a Durable Human: Revive and Thrive in the Digital Age Through the Power of Self-Design. Her work has informed millions on outlets including ABC News, The Washington Post, Readers Digest, Tech Republic, Thrive Global, and many others. 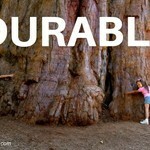 (2) is it curable ? or how recovery we get? Thank you very much for sharing this about your daughter. Though this is a brand new field of study, it is true that some doctors in the U.S. and other countries see that little children who watch hours per day of TV, YouTube, and other screen media can start having autistic-like symptoms. These doctors also see that when a child with these symptoms STOPS using or being around ANY screens and STARTS playing with toys and other children and reading books and talking to and playing a lot with parents, siblings and other caregivers, the autistic-like behaviors get much less or even go away. It only seems to take a few weeks after they stop being on or around screens that they return to being normal curious, lively little kids. A great book you can read about this is Reset Your Child’s Brain by Victoria Dunckley. M.D.. You can also visit this website: https://esmautism.wixsite.com/website. Doctors studying this problem advise that if your child does stop being around any screens for a month and there is very little or no reduction in autistic-like symptoms, it is probably time to see a specialist in Autism Spectrum Disorder. If you’d like to talk directly with an expert knowledgeable about “Virtual Autism”, please let me know and I will put you in touch. How quick would one expect improvements in a 21 month old boy? And what would it look like? Thank you for reaching out. I talked to a Virtual Autism expert about your questions. She replied that how quickly a 21-month-old responds depends on several factors such as first screen exposure, amount of screen exposure, whether content has been viewed repetitively, and how much social interaction the child is getting on a daily basis. She adds that a child generally starts showing signs of social development such as improved eye contact and desire to be closer to care givers within the first month of complete screen removal and high social interaction in the second month. 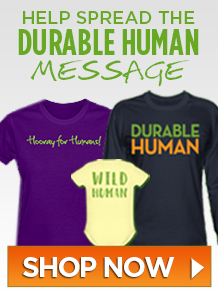 If you would like to contact the expert directly, please send your request along with a contact email address to info@durablehuman.com. angry at us. He tells me everyday he hates me and I am ruining his life. It’s a very hard time. 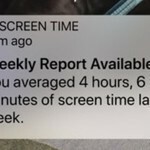 Are extreme reactions to screen time bans normal? Thank you for taking the time to get in touch about your son’s behavior. In short, the answer is Yes—it can be very difficult for a child to cope with new limits on screen media use, but research shows most children will adjust within a few weeks. You might also want to take the Durable U online course for new (and renewing) parents which explains how and why to help your son have a more 3-D, 360-degree full-sensory childhood. The course also suggests easy ways parents can contain their own screen media use so they spend more time talking to, listening to, and playing with their children, who are in such need of their eye contact and attention. 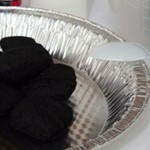 See: https://durablehuman.com/DurableU. Finally, if you would like to be referred to a counselor specializing in this area, please email your request to info@durablehuman.com. Wishing you the best of luck as you educate yourself in this area. Please write back if you have more questions. My only daughter who is now 30 months , shows most of the autistic symptoms. She watched TV and other screens while she was only 6 months of age. After the negative feedback from her Preschool about her attention , concentration and social skill, we consulted doctor and diagnosed her with ASD features. She watched on average of 6 hours of screen till date. One of the doctor even said it is induced from screen exposure and will be completely curable. How much time will take for her to recover and the symptoms to be disappeared ? It sounds like your daughter is on the road to recovery! Since The Durable Human cannot give specific medical advice, we suggest asking your doctor how long he or she expects it will take for the autistic-like symptoms to subside. You could also consult “Reset Your Child’s Brain” , a book on the subject by Victoria Dunckley, M.D.